What does it mean to be a man today? 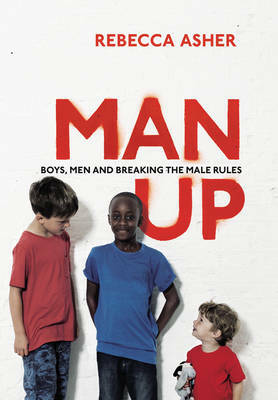 Man Up shows how changing expectations for boys and men will be good for all of us. What does it mean to be a man today? Much is being done to change negative female stereotypes but we still expect that big boys don't cry, strong and silent types get the girl, and that there is such a thing as a `real man'. Man Up challenges the accepted rules of masculinity. It confronts the reasons why boys are three times more likely than girls to be suspended from school, four times more likely to have behavioural difficulties, and why men make up 75% of suicides and 95% of prisoners. From babyhood through school and adolescence, to work and relationships, fatherhood and friendships in old age, Man Up investigates the unique difficulties boys and men encounter. Through uplifting testimony, fascinating research and real-life case studies, this book shows that change is possible and that there is room for men and boys to find greater fulfilment and happiness. Urgent, eye-opening and proactive, Man Up seeks to free men from unhealthy and limiting cultural expectations, for the benefit of everyone. Rebecca Asher has worked in television news and current affairs and as the Deputy Editor of Woman's Hour and an Executive Producer at BBC Radio 4. Her first book was Shattered: Modern Motherhood and the Illusion of Equality. Her experiences as a mother of both a boy and a girl inspired her to write this book.